Beats headphones have a clear edge when it comes to hype, but there are several other brands out there that offer the same or even better sound quality for far less money. Ghostek is one of the most popular brands among our readers for that very reason, and the company still has Prime Day deals going on its three best pairs of over-ear Bluetooth headphones. 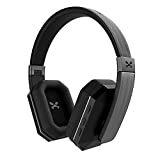 Ghostek soDrop 2 Premium Wireless Headphones are 20% off right now on Amazon so you can get them for $55.96, and Ghostek soDrop Pro Wireless Active Noise Cancelling Headphones are $101.49, a 30% discount from their $145 full retail price. Finally, the Ghostek Rapture Premium Wireless Headphones are also 30% off, so you can snag a pair for just $87.49. Those are each all-time low prices, but these deals won’t last much longer.